Joel and Mary Rich accuse Fox News, its reporter and a periodic commentator of "extreme and outrageous" conduct for the May 2017 story on the death of their son. Fox retracted the story but did not apologize. The May 2017 story echoed and propelled conspiracy theories about Rich's death and the DNC leaks, strongly suggesting his killing might have been related. U.S. intelligence officials under Presidents Obama and Trump say that people acting at the direction of the Russian government hacked into the DNC's servers. 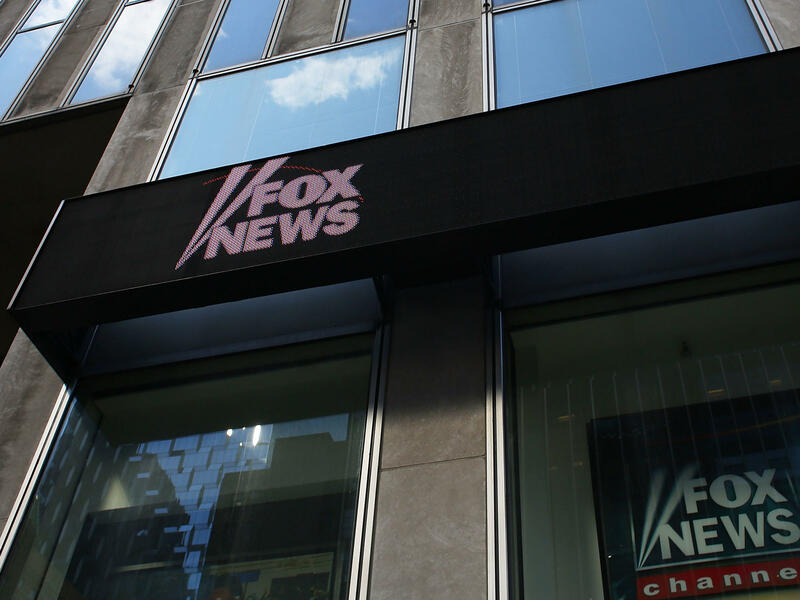 Fox News retracted the story a week later after widespread outrage, but the network never apologized for the story or explained what went wrong. In their federal suit, filed Tuesday in the Southern District of New York, the Riches allege that they have been "collateral damage in a political war" and say their son's death was exploited for political benefit. A spokeswoman for Fox News said late Tuesday that the network and Zimmerman will not comment, citing the pending litigation. The Riches also sued Ed Butowsky, a Dallas investment manager who periodically offered commentary on financial matters for Fox Business Network and Fox News. Butowsky also figured as a defendant in an earlier lawsuit filed last August against Fox News and Zimmerman by their chief named source, a Fox News commentator named Rod Wheeler. The Riches' lawsuit alleges "extreme and outrageous conduct" by Fox, Zimmerman and Butowsky in developing a false story "painting Joel and Mary's son as a criminal and a traitor to the United States." They also allege the network, the reporter and the investor made it appear that Joel and Mary Rich were involved in the deception. Butowsky had arranged for Wheeler, a former Washington, D.C., homicide detective, to be hired by the Riches as a private investigator to look into their son's unsolved killing. He paid Wheeler's bills. And he had connected Zimmerman with Wheeler as well, according to materials that were part of Wheeler's lawsuit. The backdrop involved Butowsky's efforts to draw upon reporting by Seymour Hersh and his White House meeting with former Trump administration spokesman Sean Spicer, as NPR later detailed. The original Fox News story cited a federal investigator who had seen an FBI forensic report said to detail contacts Seth Rich made with WikiLeaks. After its retraction, Fox News said the story had not been subjected to sufficient editorial scrutiny and that the network would investigate further. Fox has never again mentioned or explained the reference to the FBI report or the unnamed federal investigator. In a message to Fox News hosts contained in the Wheeler lawsuit, Butowsky wrote that he was "actually the one who's been putting this together" in urging them to conclude on-air "the Russians did not hack our computer systems and [steal] emails and there was no collusion like trump with the Russians." On Wednesday, Butowsky told NPR he was puzzled by having to respond to the Riches' lawsuit. "This lawsuit claims that an article I did not write, and did not participate in writing, caused emotional distress," he said. Butowsky also told NPR that he feels for the Riches. "Not only do I empathize with a grieving family, I spent money to try to help them," Butowsky says, referring to his hiring of Wheeler. The Riches' lawsuit states that Butowsky sought out the Riches and recruited Wheeler, who, it alleges, worked for the benefit of Fox News and Zimmerman. Spicer told NPR last summer that Butowsky was a reliable surrogate on economic issues for the Republican Party and for Trump. Wheeler's lawsuit cites specific messages sent by Butowsky invoking White House and even the president's support for the story, alleging that Butowsky wrote to Wheeler that they should do "whatever we've got to do" to help push Zimmerman across the finish line. In another, Butowsky wrote, "Not to add any more pressure but the president just read the article. He wants the article out immediately. It's now all up to you." Butowsky previously told NPR he was joking in sending those messages, and that Trump had never seen Zimmerman's story prior to its posting.